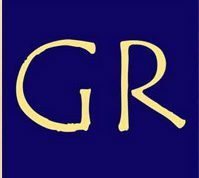 The GR Initiative, when converted into a URL looks like this – GRINitiative. And how lovely that sounds! What better way can we live than grinning our way through life? And what better way to live life than by consciously trying not to be Another Brick in the Wall? That’s what The GR Initiative will do – help people GRIN, help people break stereotypes and help society become healthier… With whatever it takes. Reader comments, contributions and inputs are welcome – let’s together heal the world.